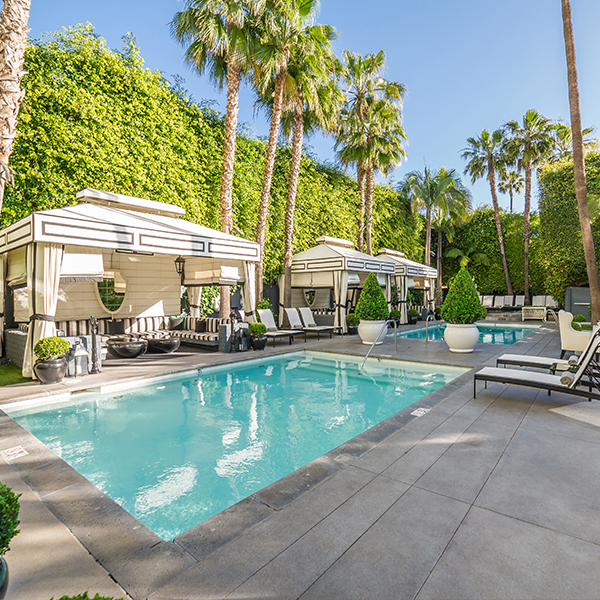 If you’re looking for more than just a room with a view, check out these hotel fitness offerings that go beyond the standard gym with unique exercise programs including cardio theaters, poolside yoga and kickboxing in Santa Monica. 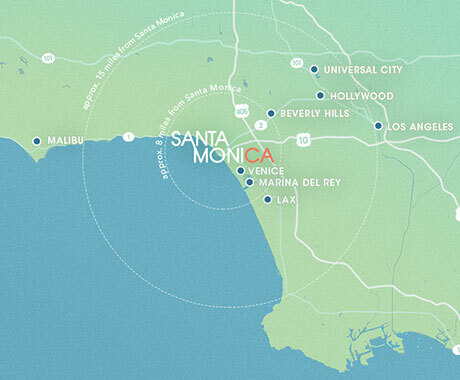 It’s no surprise that some of the best hotels in Los Angeles are located in Santa Monica. Because really, what’s better than staying close to the glistening beach while visiting sunny Southern California? However, there’s more to these hotels than just rooms with ocean views. Many of them offer unique ways to work up a sweat during your stay too. And, don’t worry, even if you’re a local Angeleno with a staycation in mind, a few of these hotel gyms are open to those not checking in. 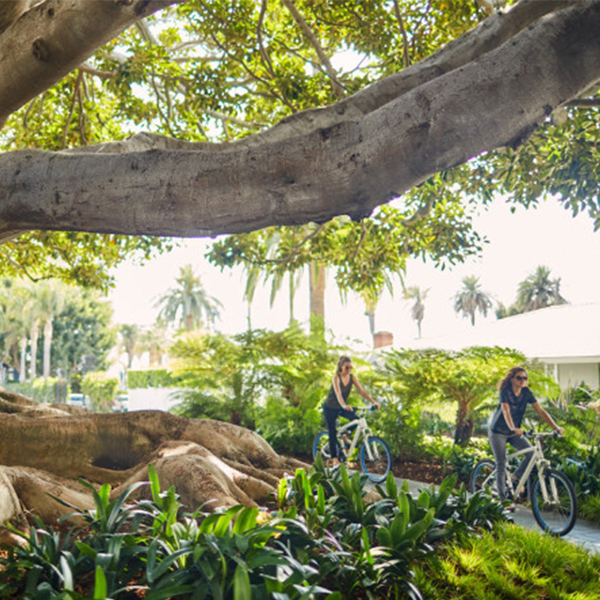 Fairmont Miramar Hotel & Bungalows not only has a full health club with a Cybex Bravo all-in-one training machine, but they’ve also teamed up with Life Force Performance to offer private training sessions. 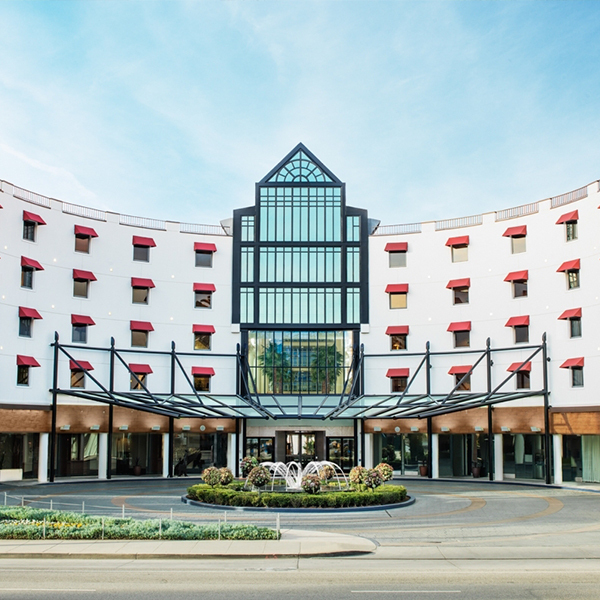 Even better, if you want a little zen with your Southern California vacation, there’s also Exhale – Mind, Body and Spa located on the grounds. This studio delivers a wide array of barre, yoga and cardio classes. Plus, you don’t have to be a guest of the hotel to take part in the sweaty fun: memberships to Exhale are open to the public. 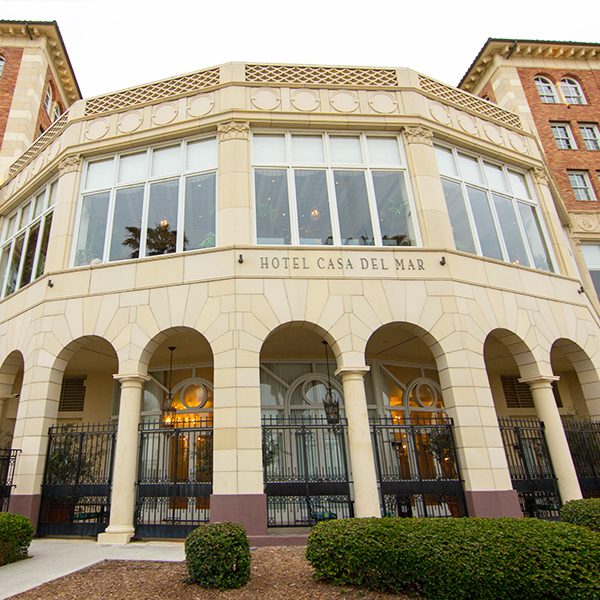 Around the corner from Shutters, Hotel Casa Del Mar is another local gem. At this hotel gym, you’ll find high-impact classes like Beach Boot Camp and To the Core, which is a mix of yoga, Pilates, martial arts and core work. 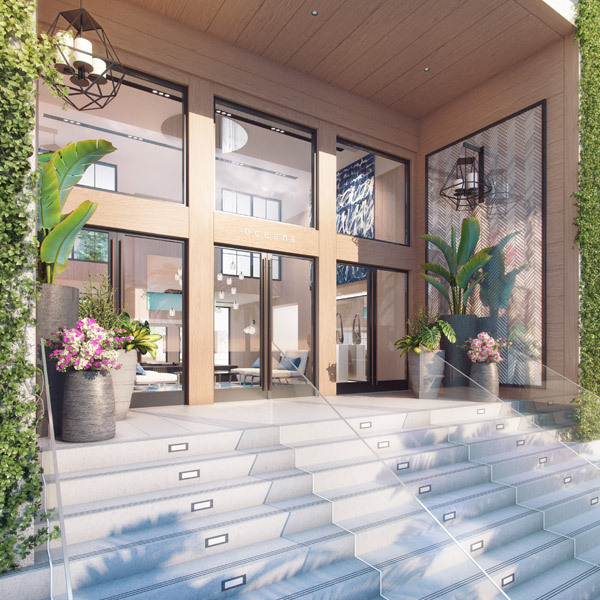 Additionally, Casa del Mar has a studio that includes a TRX suspension system and a Kinesis Personal Heritage wall (which can accommodate more than 200 different exercise options). All classes are included in your resort fee, while private sessions are offered at an additional cost. 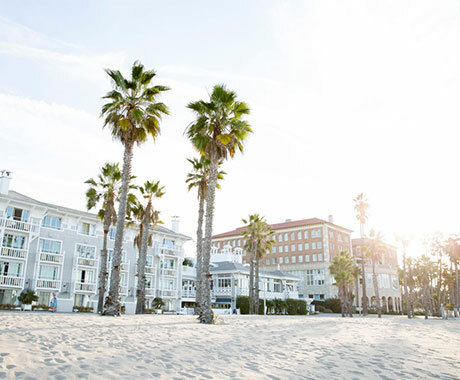 With a view of the Pacific, Loews Santa Monica Beach Hotel is an idyllic place to get your workout on. The hotel gym features both a fully equipped fitness center and a jam-packed exercise class schedule. From yoga to spinning to dancing to kickboxing, the fitness program certainly delivers. If you’re not staying at the hotel, passes are available for $25 a day. Locals can also become a gym member, which includes fitness classes and use of the eucalyptus steam rooms, dry saunas and an outdoor Jacuzzi! How would you like to take surf lessons? Or, ride a bike along the Pacific Ocean? Well, at the Oceana you can do all of that! There’s even a hotel gym as well as a wide range of fitness programs. You should definitely make sure not to miss Oceana’s complimentary daily group yoga classes in Palisades Park. Might as well enjoy the beautiful Santa Monica scenery during your (nama)stay. 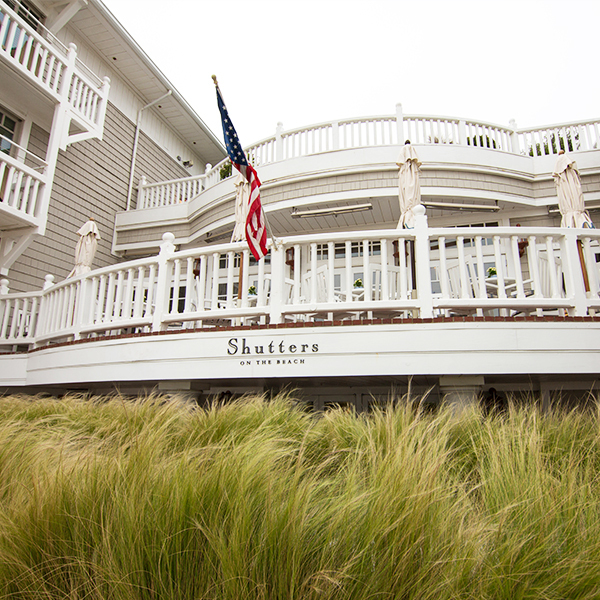 Located practically on the beach, Shutters on the Beach is a luxurious Santa Monica hotel. So, naturally it also features a great fitness program. The up-to-date hotel gym includes treadmills and elliptical machines with cardio theaters, so you can catch up on your favorite TV shows while increasing your heart rate. If group workouts are more your style, guests of Shutters on the Beach can explore low-impact classes like Yoga Basics and Breathwork. If you’re looking for something a little different, then Viceroy Santa Monica won’t disappoint. While they too have a fully equipped gym, the hotel also offers some exceptional fitness classes. There’s complimentary poolside yoga on Saturdays and Sundays for all levels, as well as personal trainer-led runs and hikes in the area. If you’re a runner, try Viceroy’s guided jog around Santa Monica. If hiking’s more your thing, take the guided tour up Temescal Canyon. Keep in mind, though, that these programs are an added charge for guests.